I came to Peru with the assumption that I would be here until Alvaro finished law school. I had planned for about two years in Lima, but all along knew that I could go home whenever I wanted. Now that he has finally finished school, my return to the US is imminent. I hadn't given much thought to my return until the last few weeks as I began arranging things at work. Now I'm looking for a one way plane ticket. I'm selling all of my furniture. I'm looking into closing my accounts. I'm reducing my life to suitcases. When did this happen? Upon a quick calculation, I'll be returning to the States in roughly 80 days. 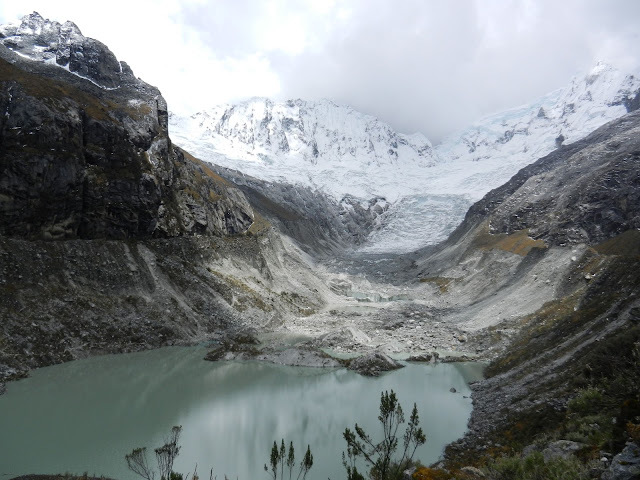 After nearly 760 days in Peru, I'm left with 80 more. I'm a mix of emotions, both good and bad. Both happy and relieved, but also sad and nostalgic. I'm closing my life in Lima. It's slowly coming to an end and in just 80 short days I'm on a way one flight to Nashville. 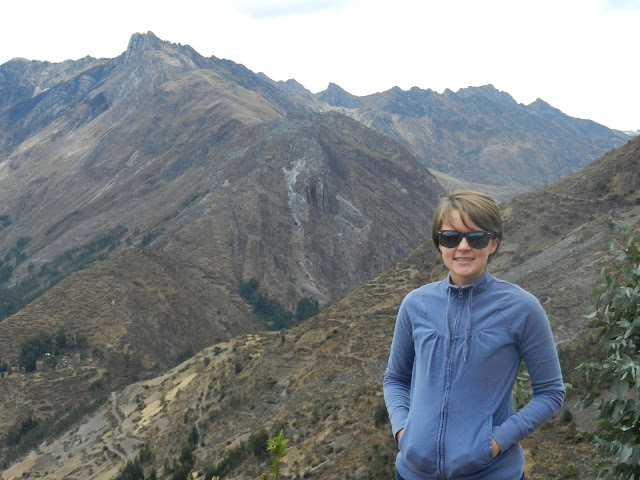 Today marks two years since my arrival in Peru. This milestone snuck up on me yesterday at church when the bulletin read "November 4, 2012," I realized how close I was to the two year mark. 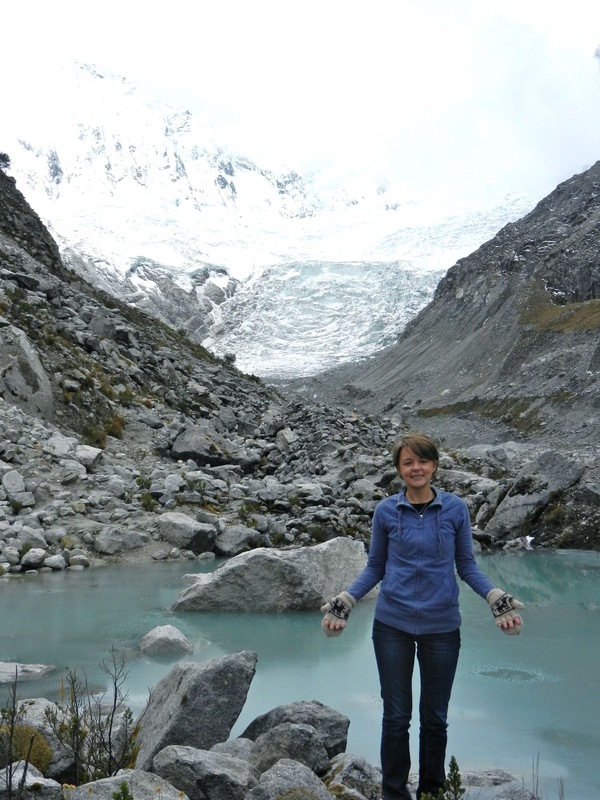 When I celebrated my first year in Peru, I let out a huge sigh of relief. Mostly in shock that I had actually made it that long. Between the visa troubles, bad job, culture shock and language issues, that first year was rough. Most of the time I was waiting for someone to tell me, "Meghan, it's ok. You can go home." And I would have hopped on the first plane back to Nashville. Two years is different. Two years feels like a long time. 24 months. 730 days. Two years is half of the time I spent in college. At just 24, two years is 8% of my life. Considering 75% of my life consisted of living under my parent's roof, I'd say that's pretty impressive. This milestone is also bittersweet- I know that I won't be celebrating three years in Peru. In just about three and a half months, I will be making my way back to Nashville to start the next phase of my life. I'm leaving because I can not do what I want to do in Peru. If I could, I would stay. That statement: If I could, I would stay, makes me proud. The fact that I have lived in Peru for two years now, is easily my greatest accomplishment. I am unabashedly proud that I stuck it out, that I adapted and most importantly- that I came to like it. Peru has been my home for the past two years. When I stood in the Nashville airport two years ago, I could have never imagined what this move would be like. That day, I was embarking on this great adventure, without any real clue as to how hard it would be. 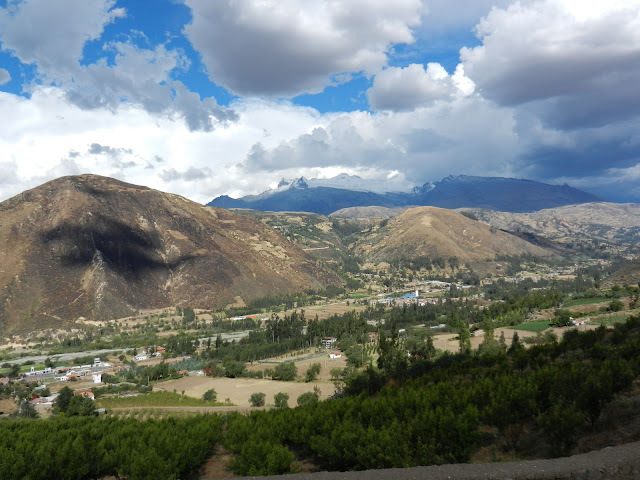 That day, I was moving to Peru with an openended return date and instead I decided to stick around for a couple of years. Thanks for having me, Lima. Salud! Four years ago, I was planning for my big study abroad trip. Originally, I had planned to go for a full calendar year and one of the most exciting parts of that was being able to vote absentee. For a variety of reasons, I didn't leave that fall and unfortunately, couldn't vote absentee in the 2008 election. My disappointment quickly turned to elation when my university was chosen to host one of the Presidential debates that year. Through a series of fortunate events, I was lucky enough to be one of the volunteers who was granted access to the debate hall and I was able to watch the debate live. In one of those right place and the right time moments, I also met then Presidential Candidate Barack Obama. I'll take that over an absentee ballot any day. This time around, I have no opportunity to vote except by absentee ballot. I've always been fascinated by the idea of voting absentee. By its very nature, an absentee ballot means that you are "absent" from your home, whether you are in another state or another country. I think there is something poetic and patriotic about choosing to vote and having your voice heard even if in that moment your "home" is away from home. Regardless of my political affiliation, I have always believed it's crucial to vote. I feel fortunate to live in a country where I can place my vote, I know this isn't true in every country. I also know that people- first men and then women- fought very hard to be able to place their vote and I want to honor that. Even though I'm thousands of miles away from my home polling station, I still placed my vote. Yesterday, I took a bus to the US Embassy and proudly placed my ballot in their voting box. The next step is for it to be sent to the States where it will then be sent to Nashville, Tennessee. On November 6th, I'll be watching the poll results and know that even from Lima, one of those numbers is me. One weekend, rumors began to spread about the Peruvian government giving everyone a four day weekend. This unexpected holiday was a way to encourage Limeans to leave the city to make room for the South America-Arab Summit. At first, I didn't believe the rumors. How can a government simply declare two holidays ten days before the date? I wasn't hopeful. Furthermore, I expected the holiday would be just for the public sector which meant my private school would still be in session. I was wrong. As it turns out, if you are the President of Peru, you can declare two extra holidays- for both the public and private sector. Four day weekend, hooray! 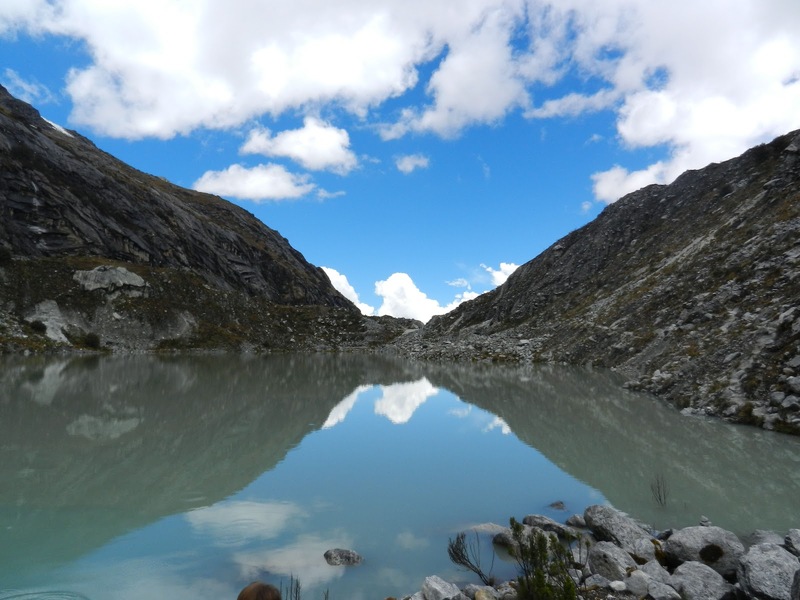 To get out of the city and make the best of our unexpected holidays, two friends and I took an overnight bus to Huaraz, to enjoy mountain views, ancient ruins and beautiful hiking. 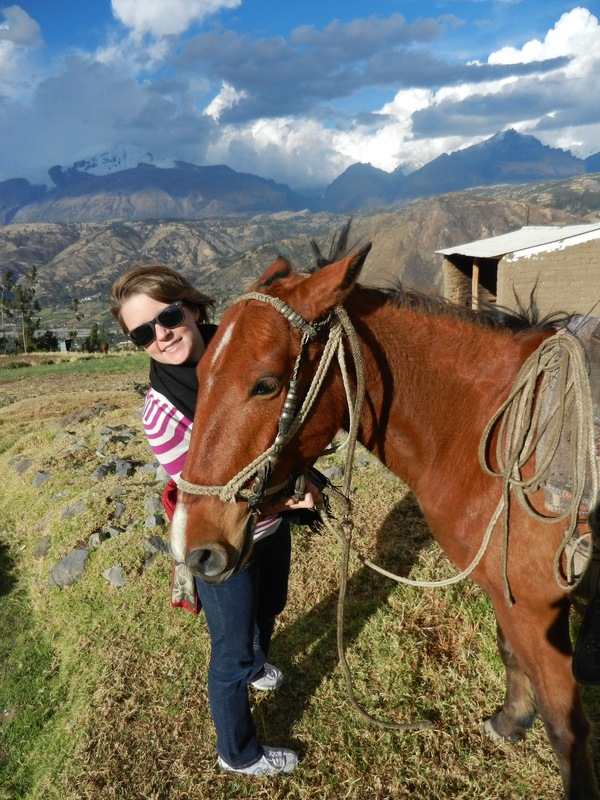 We started our trip with a three hour horseback ride up a mountain outside of Huaraz. I hadn't been on a horse in nearly 10 years and my inexperience showed. Once I trusted my horse enough to know he wouldn't fall down the side of the mountain, I began to relax and could enjoy the views. The only sounds I heard were the rustling of the wind and the horse's hooves on the paths. That kind of quiet is eerie when coming from a city plagued by car horns, travelings salesman and bus engines. The second day we drove three hours to Chavín to explore the ancient ruins at the site. 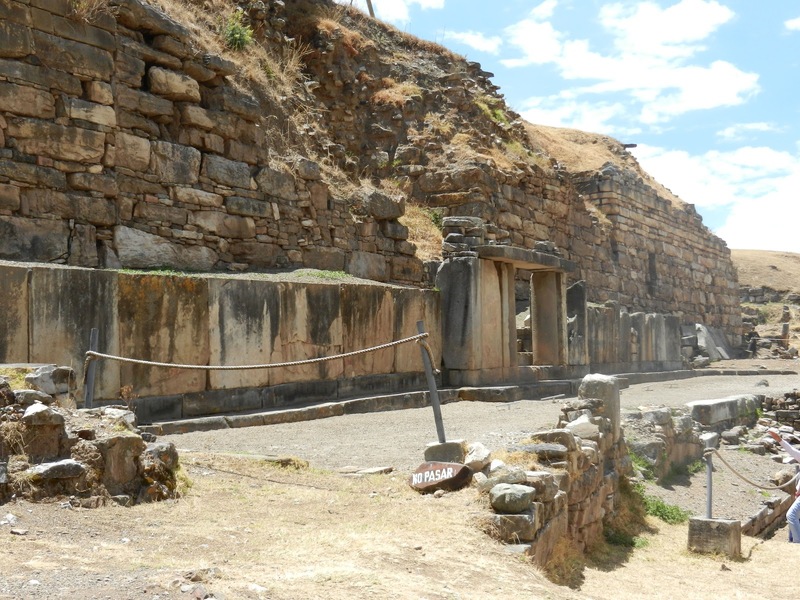 Archeologists have found evidence of civilizations on this site as early as 1200 BCE but the Chavín culture didn't arrive until about 400-500 BCE. 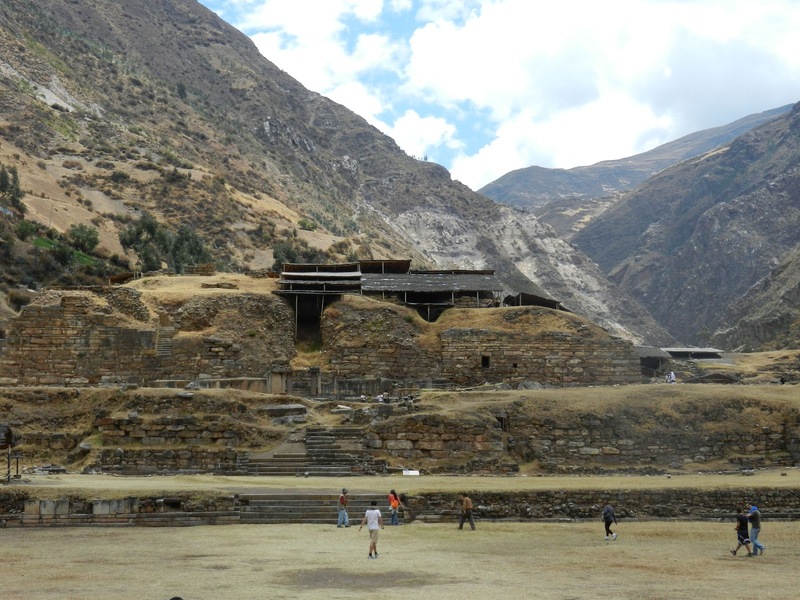 People often talk just about the Incas and it's easy to forget that the Incas were one of the last cultures in Peru, meaning that before them the country was inhabited by a myriad of other people, cultures and traditions. Chavín is strategically located in the valley of the mountains and at the intersection of two rivers. Used a a ceremonial site, the only people who would have had unlimited access to the temple would have been the high priests. Most likely, the everyday citizens lived in the surrounding areas. On the finally day, we took a car into Huascarán National Park. I'm a proud city girl who has never been keen on hiking but these views have changed my mind. At 14,000 feet above sea level, it felt as if we could touch the top of the snow capped mountains. Through my travels, I have become aware of the earth's size in regards to width but it wasn't until this trip that I began to think of the earth in vertical proportions. It was the first time I had been around mountains of this size and I was in awe of it's beauty. Clean blue skies, snow lined mountains and crisp mountain air, it can't get much better than that.